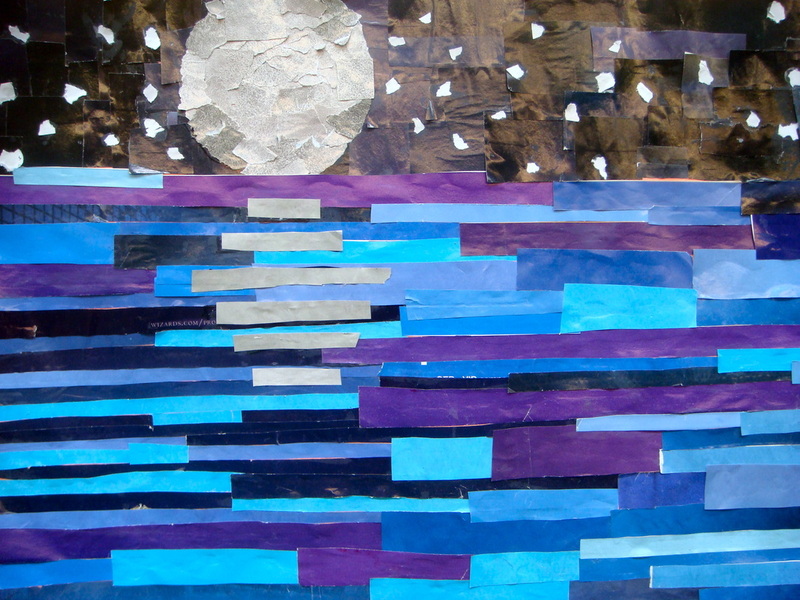 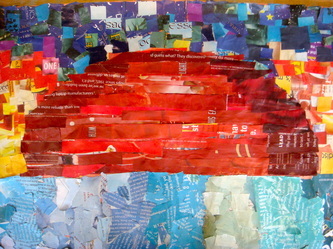 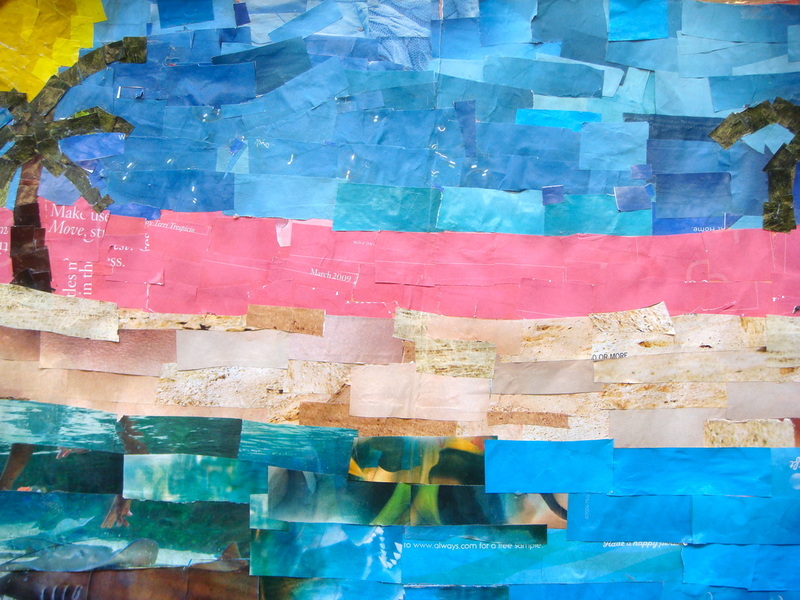 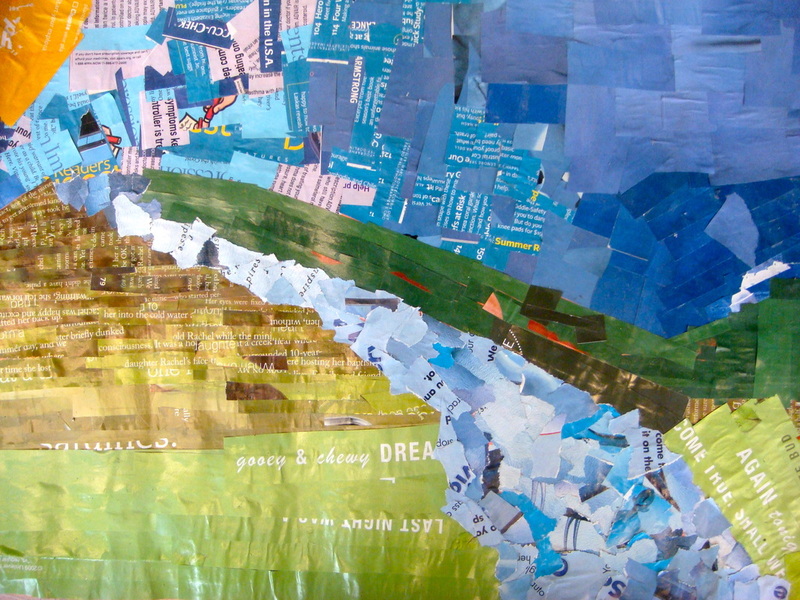 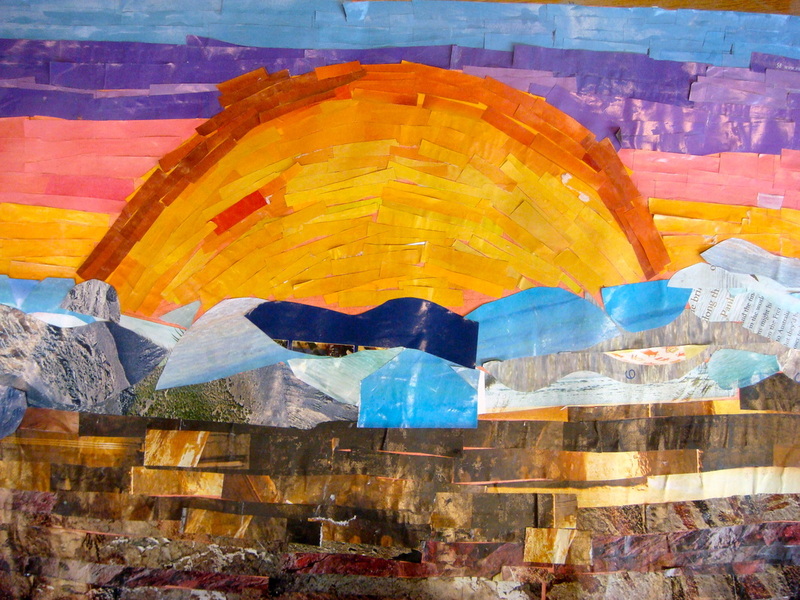 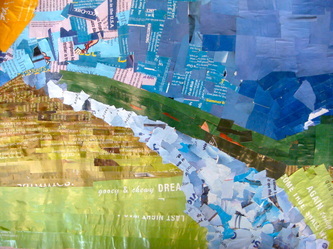 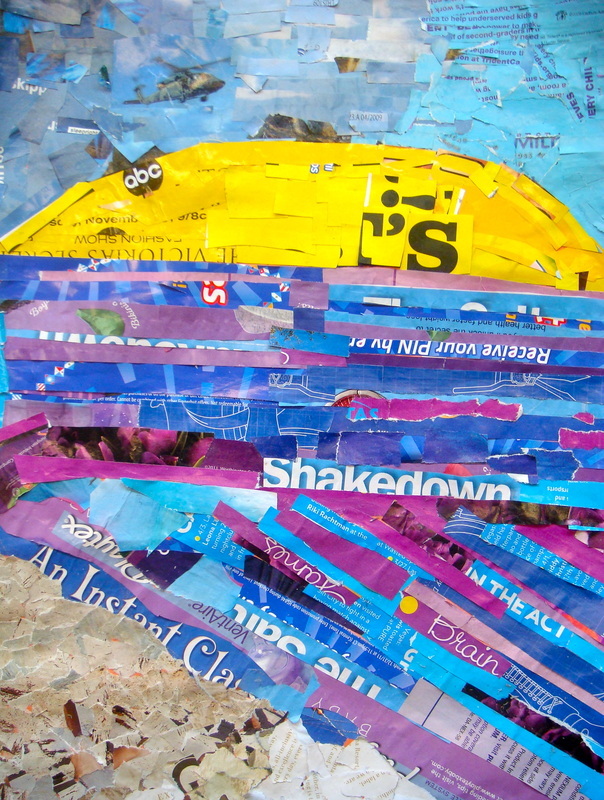 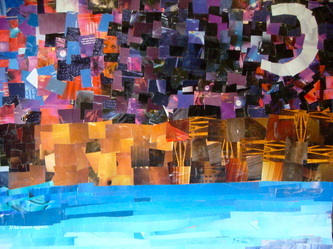 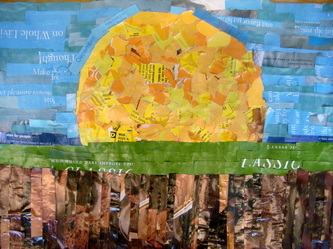 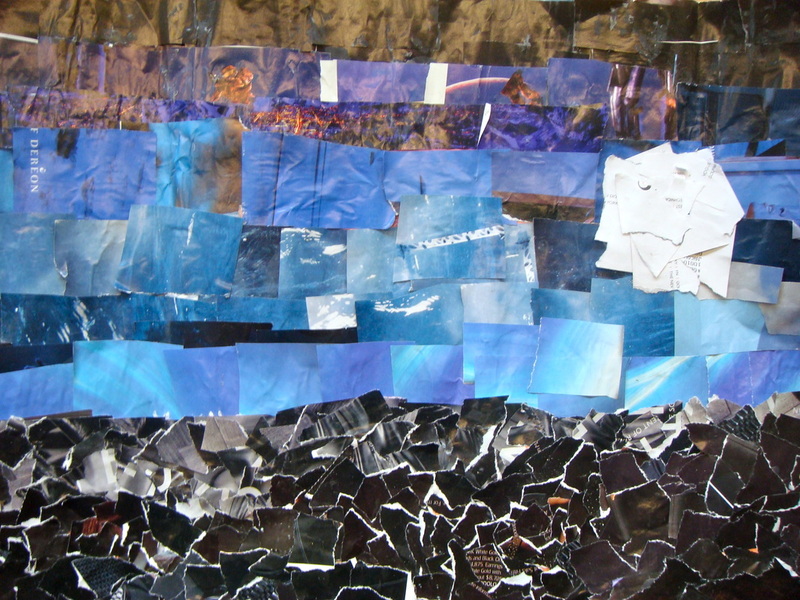 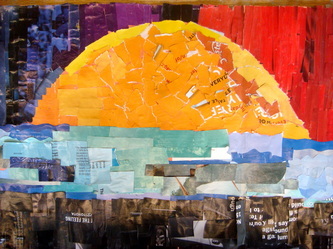 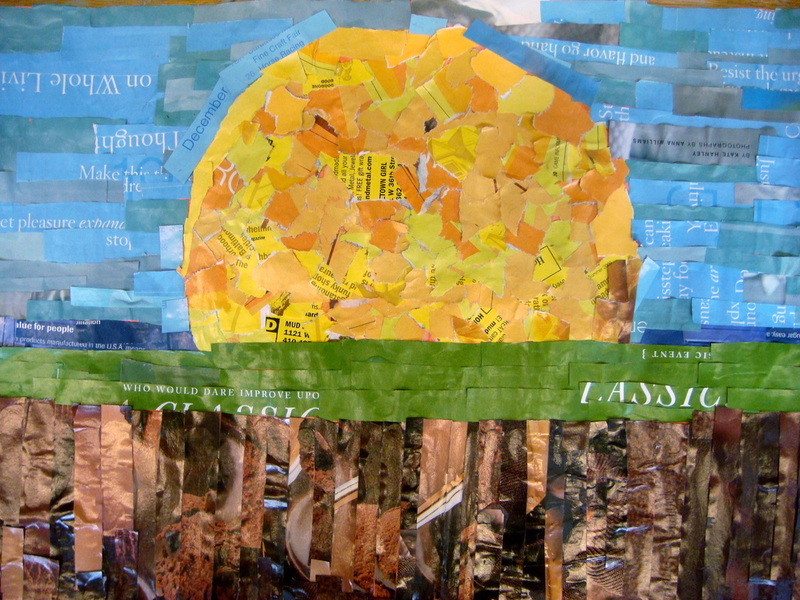 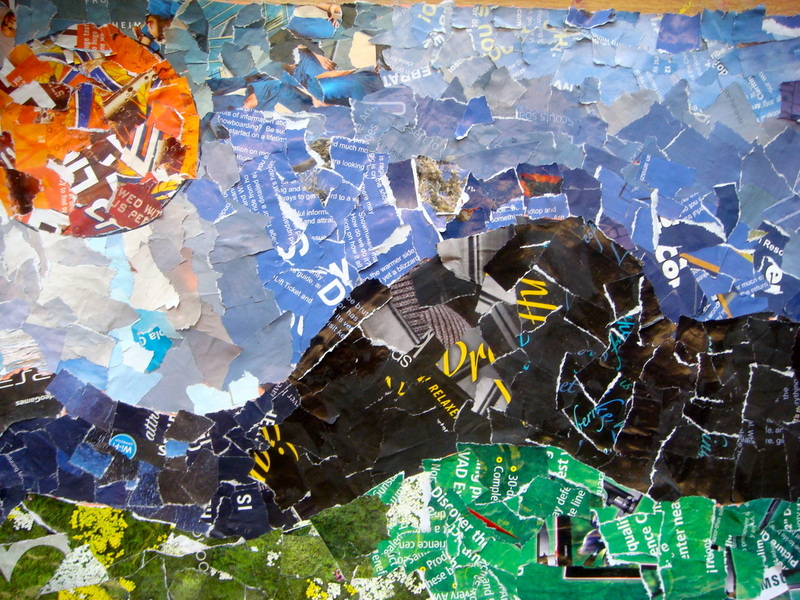 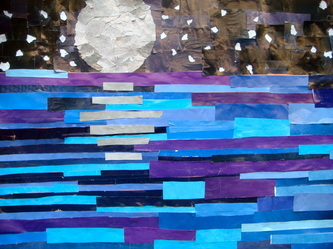 Students will discuss the collage work of David Hockney in order to create a collage landscape featuring a foreground, middle ground, and background. Clearly shows a foreground, middleground and background. 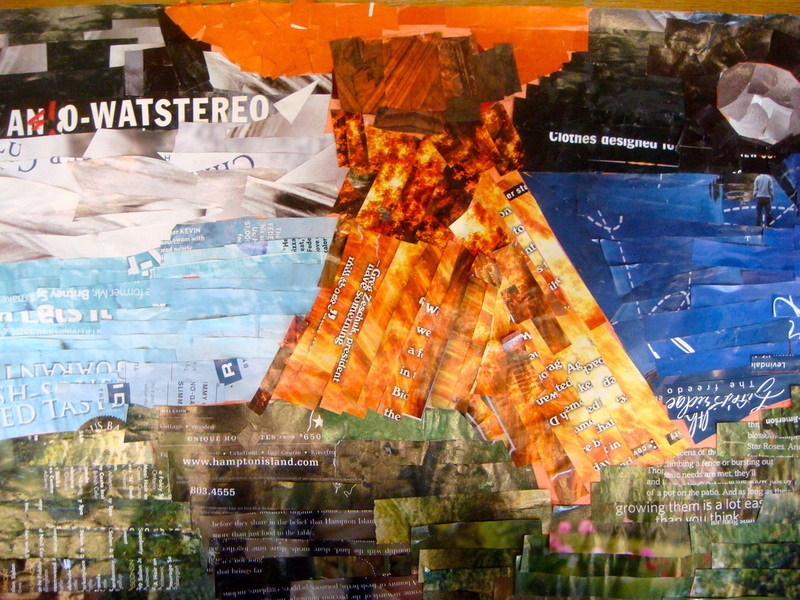 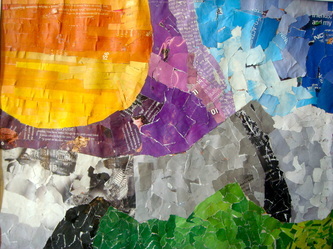 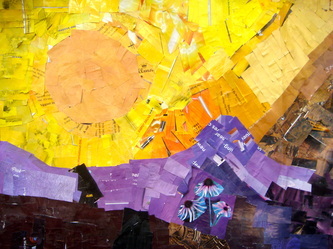 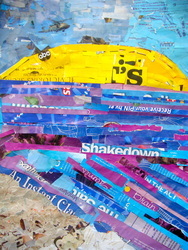 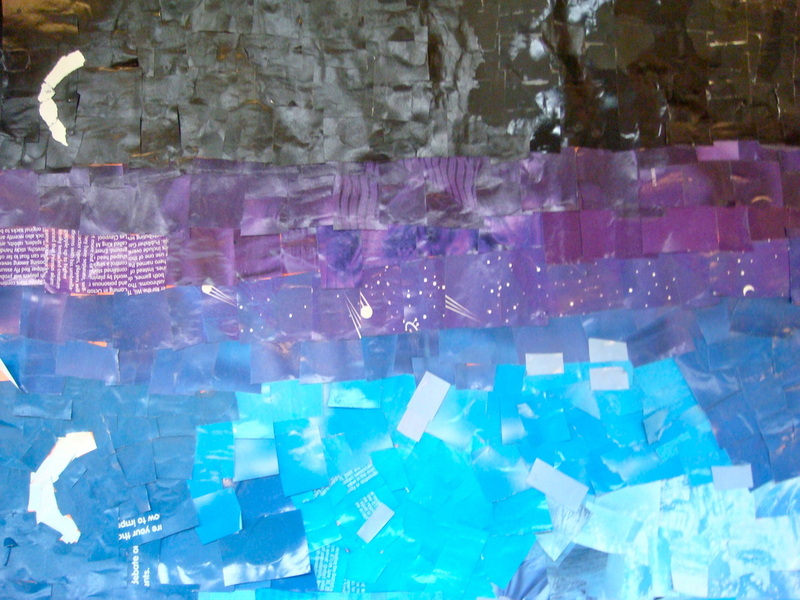 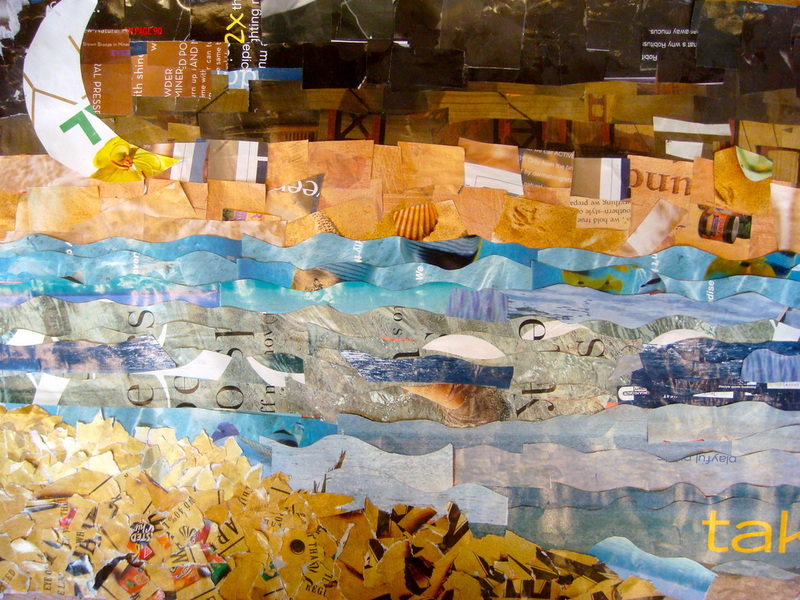 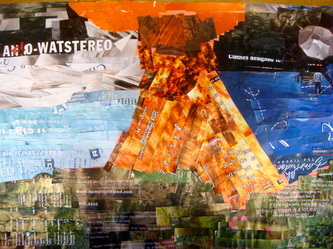 Entire image is created out of small pieces of magazines.